With the passing of time, your home’s chimney can get clogged with creosote. Creosote buildup is extremely dangerous not only to your chimney but to your house and your family’s safety as well. 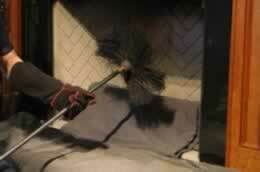 Chimney cleaning in Naperville, IL is as important as cleaning any parts of your house. If you fail to do it, it can cause certain serious problems that will be very expensive to resolve. You can take it to your advantage if you know how to clean your chimney. However, if you lack the knowledge and the tools to do it, you should consider employing the aid of professional cleaning companies. Enhanced Safety – Chimney cleaning in Naperville, IL is crucial to ensure that creosote buildup will be removed from your chimney flue. Creosote is dangerous and can ignite chimney fire. This can endanger your home and your family’s safety. A professional Naperville, IL chimney cleaning service will make sure that all traces of creosote will be eliminated from your chimney. Efficiency Improvement - Naperville, IL chimney cleaning will improve the efficiency of your home chimney in Naperville, IL. This means that you will always have the best indoor air quality because your chimney will effectively dispose all smokes and flume from your fireplace. Prevention of Damages – A professional chimney cleaning in Naperville, IL can help ensure that your chimney and all of its components are in good condition and away from damage.